Mountain Dew, or Mtn Dew in the U.S., is a popular carbonated soft drink produced by PepsiCo. Barney and Ally Hartman, Tennessee beverage bottlers, invented the idea in 1940, but PepsiCo acquired production rights in 1964. The company modified the logo in 1969 to make it more appealing to younger generation. It is now a popular soft drink choice in the U.S. and Canada, and over 40 Mountain Dew flavors are now available in the market. Since people don't know how the company prepares it, they are always curious to know more about mountain dew nutrition facts. Let's find out more about the nutritional value of Mountain Dew as well as total calories in Mountain Dew. The basic ingredient composition of Mountain Dew is available on the label. It contains high-fructose corn syrup, carbonated water, citric acid, concentrated orange juice, sodium citrate, caffeine, sodium benzoate, natural flavors, calcium disodium EDTA, gum Arabic, erythorbic acid, Yellow 5 and brominated vegetable oil. It is worth mentioning that the ingredients change a bit within the country of production. In Canada, for instance, the listed sweetener is "sucrose/fructose". Here's a bit more about Mountain Dew calories and overall Mountain Dew nutrition facts. From the table listed above, it is easy to find out that though there are calories in Mountain Dew, but the amount of calories from fat is 0%. It also contains no protein at all. 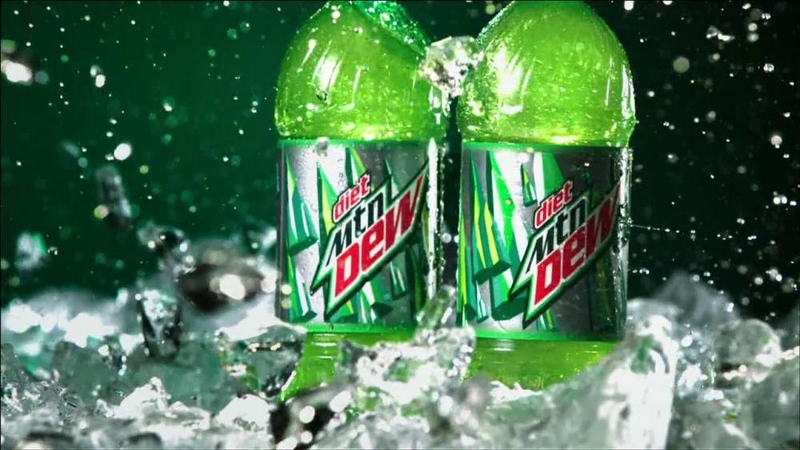 If you are curious about the flavors of Mountain Dew, click HERE to know more.